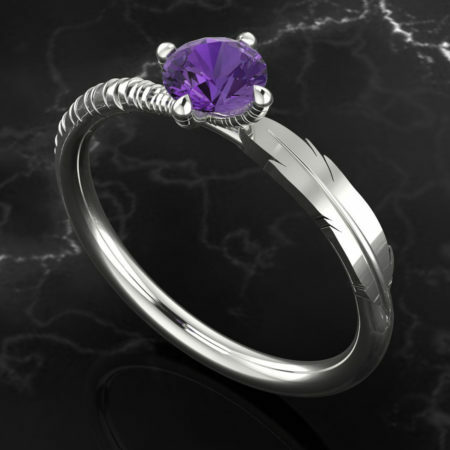 Bespoke handmade engagement ring in 18ct white gold with purple sapphire. Inspired by owls with talon claws and feather detail. 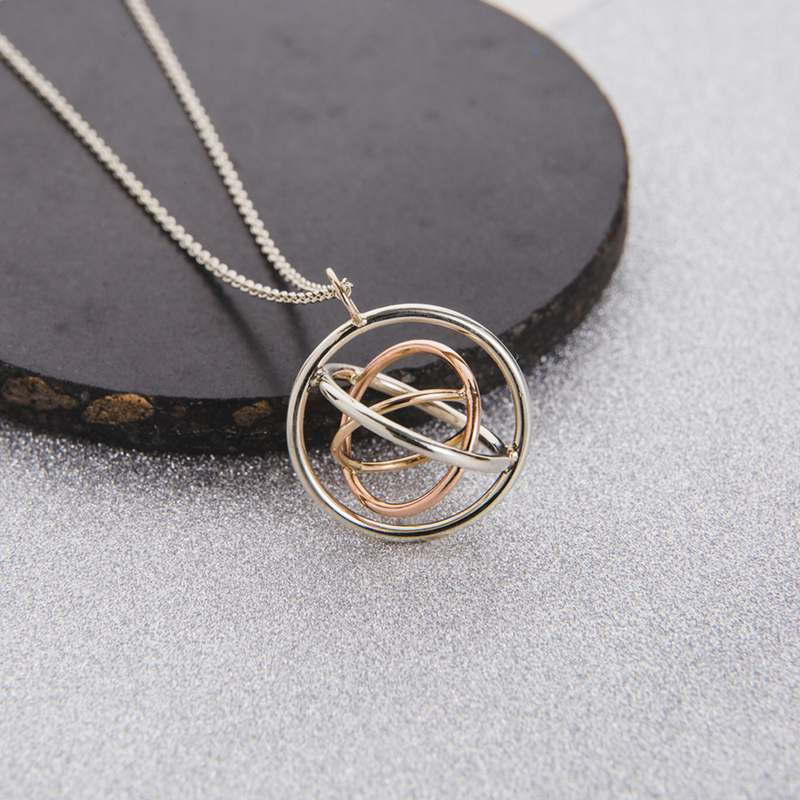 Uniquely designed jewellery in North London. Simon was quick to realise he wanted a bespoke engagement ring. He didn’t feel comfortable talking to a stranger about such a personal thing, and so he hadn’t enjoyed his visit to high-street engagement ring shops. 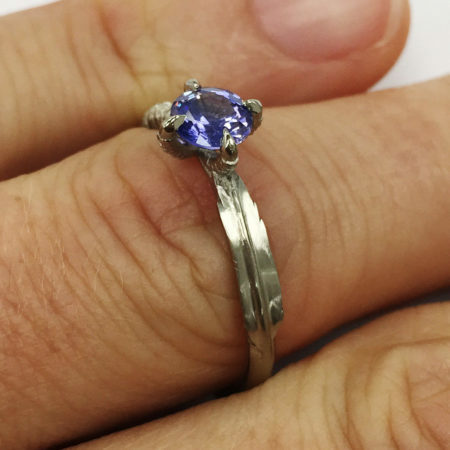 He knew, from browsing ready-made rings, that he wanted something more unique for his fiance-to-be – a bespoke engagement ring. 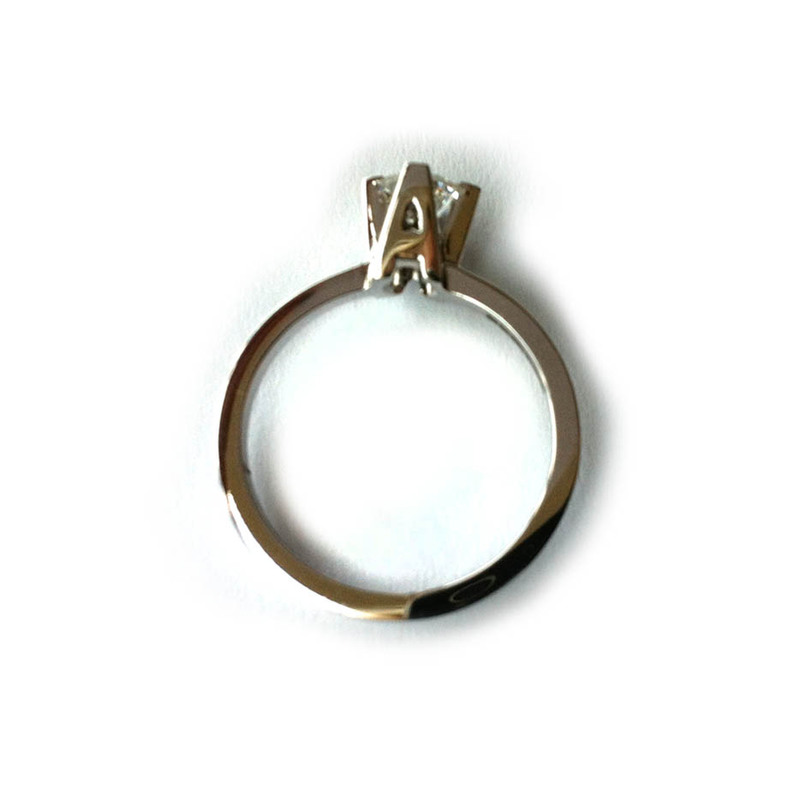 He wanted a ring that was inspired by her interests and passions. So he asked me to make his dreams come true. We talked about what she liked, her hobbies and style-choices. She loves owls, and so Simon wanted a ring inspired by this. We talked over design options and centre stones – he wanted either a brilliant cut or a rough cut stone in blue or purple. 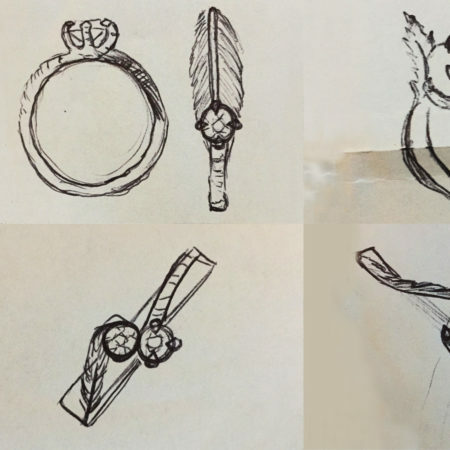 He loved the idea that the ring would feature talon claws and feathers. 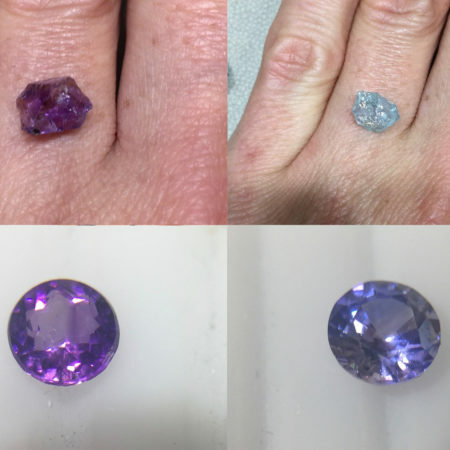 I went to the best stone dealers in Hatton Garden and chose the most beautiful stones for Simon. I text him pictures of the stones and some sketches based on our ideas (see slides for sketches). He liked a few of the sketches – in the end, he picked a purple sapphire as his centre stone and design with a talon and feather. I used CAD to draw the design on the computer – I could work on the smaller details of the talons and skin. Simon saw the finished ring in CAD and asked for a few last minute tweaks. When he was happy, the engagement ring was printed in wax and then cast in 18-carat white gold. 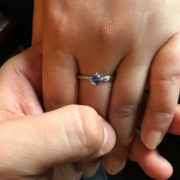 I finished and polished the bespoke engagement ring and kept him up-to-date with photos via WhatsApp. As soon as it was ready, I sent him a photo of the finished product. 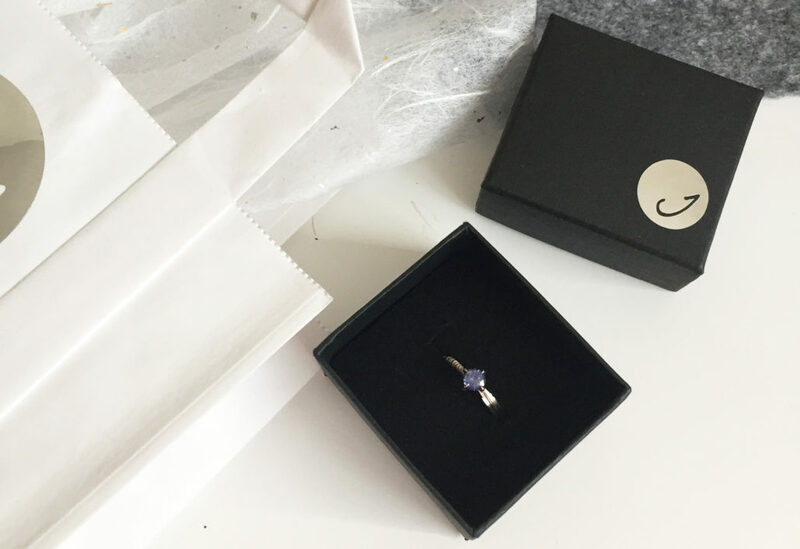 Since Simon’s based in London, where my jewellery studio is, I hand-delivered the ring to him. 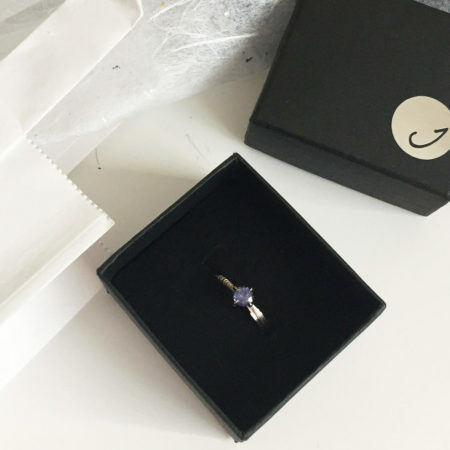 If you also want a bespoke engagement ring, get in touch through the enquiry form below I will get back to you with a quote and ordering information. ”Once I knew Rachel was the one, I knew the ring had to be something special. 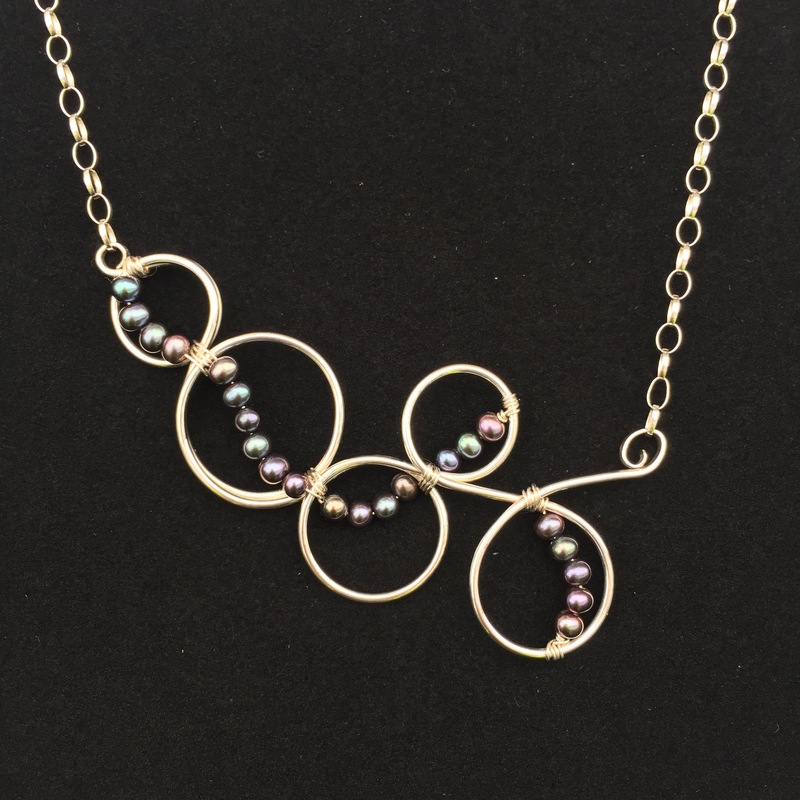 A friend recommended getting a ring designed, but I was sceptical at first as I could see the cost becoming something outside of my budget, but I decided to go in for a chat to see what could be made. After my initial chat with Judith I was amazed with the ideas she had for a ring. We talked through what Rachel liked and started to gravitate towards designs including owls. After a few designs were drawn up, I settled on one which she refined. The moment I was dreading was finding out how much this would cost, but I couldn’t believe it when it was comparable to others I had viewed on the high street. “I had no idea Simon was thinking of proposing, so when he began “the speech” as we were chilling in our favourite pub, I was taken by surprise – that being said, I’m pretty sure I said yes before he’d had a chance to actually ask the question! As I’m not a particularly traditional person, I didn’t have my heart set on anything regarding a particular ring or type of stone.